On May 25th, 2012 President Barack Obama proclaimed May 28th 2012, through November 11th 2025, as the Commemoration of the 50th Anniversary of the Vietnam War. Dupree Park: The Place to be this Spring! Dupree Park is the epicenter of outdoor recreation in Jacksonville. It has more than 160 acres of space offering any type of outdoor activity that you could want. 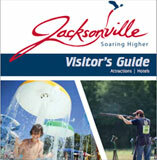 Looking for some great family fun this Easter in and around Jacksonville? Check out these two upcoming Easter Egg Hunts.